What Happens If A North Carolina Decedent Dies Without a Valid Will? When someone dies without a Last Will and Testament, the decedent is “intestate.” The North Carolina Intestacy Laws provide specific rules regarding how an Estate will be distributed in the absence of a valid Last Will and Testament. The distribution rules under the Intestacy Laws involve several different factors, such as whether there is a surviving spouse, whether the Decedent had lineal descendants, and whether there are unborn children. If there is no spouse or lineal descendants, the Intestacy Laws then branch further out into the Decedent’s family trust—potentially to parents, siblings, or further removed relatives. Often, the Intestacy Laws do not distribute the estate the way that most people would expect. For example, married couples often assume that the assets would all go to the surviving spouse. However, if there are children, then part of the estate goes directly to the children. If there are not children, then part of the estate may go to any living parents. Properly determining the appropriate Heirs and distribution shares in an Intestate Estate is critical to the proper administration of the Estate. We strongly encourage you to hire legal assistance to ensure the proper administration of an Intestate Estate. When Is Probate Required In North Carolina? How Long Does Probate & Estate Administration Take in North Carolina? Administering an uncontested probate and estate administration in North Carolina generally takes between six months to a year. The process and time involved can vary depending upon the nature and complexity of the Estate. If there is an Estate dispute, due to the nature of the legal system, the dispute may take months or years to resolve, which will then impact how long it takes to administer the Estate. Summary Administration or Affidavit for Collection of Personal Property of a Decedent may be possible for an estate consisting only of small amounts of personal property ($30,000 if surviving spouse is sole beneficiary, otherwise $20,000 or less). However, it should be noted that some of these procedures for small estates may streamline the estate administration process, they also may come with certain risks. For example, with Summary Administration or Affidavit for Collection the recipient of the decedent’s assets may still be subject to the decedent’s creditors. Often, the decedent’s creditors may not be known, creating the risk that a previously unknown creditor will show up later to claim money owed. While formal estate administration can be more time-consuming, it ensures that all debts have been cleared and beneficiaries have clear right to the estate assets. Is Probate and/or Estate Administration Necessary for My Loved One’s Estate? It depends on the nature of the Estate. 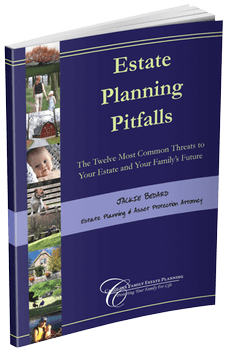 Many assets pass outside of Probate and Estate Administration. For example, assets with Beneficiary designations such as retirement accounts and life insurance may pass outside of Probate. Many individuals opt to use Trusts to keep assets out of Probate. However, it is important to understand that Estate Administration is still necessary with a Trust. If properly established, the Trust permits the Estate Administration to be handled privately, without court supervision. Even if there do not appear to be assets in the Testate Estate, if there is a valid Last Will and Testament, North Carolina law requires that it be filed with the Clerk of Court in the county in which the Decedent resided at time of death. If you need help determining the appropriate steps regarding Estate Administration and whether Probate is required, you should consider hiring legal assistance. How Do You Know If A Will Is Authentic And Valid? What's a Revocable Living Trust? There are many different types of trusts. One of the most commonly used is the Revocable Living Trust (also known as RLT or Living Trust). Essentially, "revocable" means you can change your mind, and make changes to the trust—including restating the entire document with new terms. Let's assume that the fancy words "your assets" just mean "your stuff." A revocable living trust is like a box with an open top. You can put your stuff in the box and take your stuff out at any time. When you set up the trust, you put all of your stuff, such as your home and bank accounts into the trust. Maybe a few months later, you open a new account at the bank. It can go in the trust. Then, the following year, you take out some stock in the latest wonder company—you can put it in the trust. A few years later, you decide to sell your home and buy a new home in another neighborhood. You can take the old home out of the trust and sell it, and then when you find your new dream home, you can purchase it and put it in the trust. You appoint yourself as the initial trustee of the trust. The trustee is the person that is responsible for managing the trust assets. If you become incapacitated or when you die, the trust document includes your written instructions specifying who takes over as successor trustee and what they are supposed to you with your stuff. The trust holds everything securely so that your family should not have to face the horrible prospect of probate at the time of death. What's the Difference Between a Testamentary Trust, Revocable Living Trust, and Irrevocable Living Trust? A Trust is a contract between a Trustmaker, a Trustee, and the Beneficiaries. The Trustmaker (also sometimes referred to as the grantor, donor, or settlor) is the person who creates the trust instructions and transfers property to the trust. The Trustee is the person who administers the trust according to the instructions provided in the trust document. The Beneficiary is the person or entity who benefits from, or will benefit from, the Trust. There may be more than one Trustmaker, Trustee, or Beneficiary of a Trust and the same individual may serve in more than one role. For example, the Trustmaker may also appoint himself or herself as the initial Trustee of the Trust. Providing for the future management of assets if you should become incapacitated. To avoid probate upon your death. To provide for the management of assets on behalf of a young or financially irresponsible beneficiary. To provide for the management of an asset that is to be shared among multiple beneficiaries such as a family vacation home. To limit a beneficiary’s direct access to assets, particularly if the beneficiary is a big spender, has a substance abuse problem, or other similar concern. To protect assets from future lawsuits, creditors, or divorce. To reduce income or capital gains taxes. To reduce estate or gift taxes. Trusts are not one-size-fits-all. Trusts must be customized to carry out the individual Trustmaker’s wishes. The formal name for a Will is a Last Will and Testament. The term “Testamentary Trust” is generally used to refer to a Trust that is written into a Will and does not take effect until after the Trustmaker dies. For example, if you have minor children, you might specify that if your children are still below age 25 when you die, the assets of your estate should be held in trust for your children. You can amend or revoke a Testamentary Trust by changing your Will. However, after your death, a Testamentary Trust usually becomes irrevocable (see below). Our Heir Safeguard Testamentary Trusts are a popular tool for leaving assets to beneficiaries protected from future lawsuits, creditors, or divorce. A Living Trust is a Trust established by the Trustmaker that becomes effective while the Trustmaker is living. A Revocable Living Trust is a Living Trust in which the Trustmaker has retained the power to modify or revoke the Trust at any time. Revocable Living Trusts are a common estate planning tool for avoiding probate. A Revocable Living Trust may also provide several other benefits such as leaving things to your beneficiaries protected in the event that your spouse remarries, or protecting your beneficiaries from future lawsuits, creditors, or divorce. Many people think that an Irrevocable Trust is a trust that cannot be changed or modified, but this is wrong. An Irrevocable Trust is a trust that contains at least one provision that the Trustmaker does not have the power to modify by himself. It’s possible that the Trustmaker may have retained several powers including the power to change the beneficiaries of the Trust. As stated above, a Testamentary Trust generally becomes irrevocable after the Trustmaker’s death. In certain circumstances, an Irrevocable Trust may still be modified by court order or by following specific provisions under the Uniform Trust Code. Such irrevocable trusts are a popular tool for leaving assets to a beneficiary protected from financial immaturity or irresponsibility, or future lawsuits, creditors, or divorce. An Irrevocable Living Trust refers to an Irrevocable Trust created while the Trustmaker is living. The most common reasons for using an Irrevocable Living Trust include asset protection and tax planning. What is a Living Trust and Why You Might Want One? Probate can be a time-consuming and often costly process when administering your estate if you have a will. What if there were a way to specify when and how you want your children to receive their inheritance, who will manage it while they are younger, all while avoiding the tedious probate process? That’s where a Living Trust comes into play. A Living Trust is a set of instructions from you designed to authorize someone you designate as “trustee” to administer your trust estate in the event of you become incapacitated or in the event of your death. Assets that are titled to a Living Trust generally do not have to go through Probate—thus avoiding many of the unnecessary costs and delays associated with the probate process. However, there are other reasons besides avoiding Probate to have a Living Trust, including protecting beneficiaries from future creditors, lawsuits, divorce, or disability, or providing for the continuing administration of the estate for a minor beneficiary. In addition, privacy and reduced costs of administration are often additional advantages of a Living Trust. There are many different types of Living Trusts that may be used for different purposes. I often find that often people have heard horror stories about probate or that it’s important to “avoid probate” but they aren’t even sure what probate actually is or why people want to avoid it. Technically “probate” refers to the proving of the will (i.e. that there is a will and that the court has determined that it is valid) and then separately there is the administration of the estate (i.e., the actual handling of the assets of the estate). Most people refer to these collectively as “probate.” Thus, as you might have already inferred, a will does not avoid probate. In fact, having a will is a one-way ticket to probate. When the court is involved in overseeing the administration of your estate (i.e., the probate process), this can cause things to get bogged down and add unnecessary fees. The executor of your will must be legally acknowledged by the court before the executor can even begin handling your estate. And then there are a variety of tasks, accountings, and filings that are required as part of the probate process—all while the court babysits your executor, which tends to slow things down. It’s not uncommon for the costs of probate, between court costs, legal fees, executor commissions, appraisals, and so forth, to cost 2-5% of the probate estate, and the process can take anywhere from several months to a year or longer to complete. That means that your family could wind up spending 9 to 18 months or longer dealing with the court, spending 2-5% of the estate on probate costs, and because this is a court process, everything—your will, what you owned, who is receiving what, etc. becomes a matter of public record for any nosy person to see. That is why you hear about people wanting to avoid probate. We help families look at their specific circumstances and estate planning goals and determine whether planning to avoid probate should be part of their planning. Who Would Make Medical Decisions for Your Minor Children? God forbid, but if your family is ever in an accident, who would be authorized to make medical decisions for your children if you’re unable to? Did you know that you can authorize who can make medical decisions for your child if you’re unable to? If you have minor children, this is a medical authorization for your minor children is a critical component to your estate planning. It’s one of the many important components of our Children’s Safeguard Plan. You see, we’ve thought long and hard about all the various “what if” scenarios for families with minor children and what we could do to better protect your family. That’s how the Children’s Safeguard Plan came into being. We were seeing far too many parents with “cookie cutter” wills that did too little to protect their young children. We wanted to provide a better solution to the unique planning concerns of young families like yours.